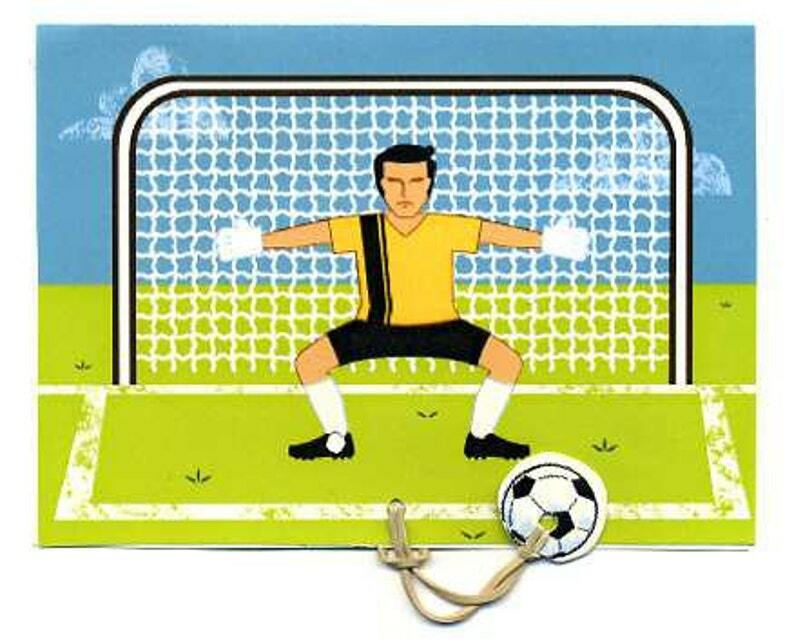 Score big with an interactive soccer card -- great for team parties, a thank you to coach, or a birthday invite for your biggest soccer fan. Pull the ball back and the rubber band snaps it in the net for a Gooooaaaal! (Room for party details or a personal note is on back.) Matching thank you card has space for a party or teammate photo, too. Envelope sizes are 5-3/4" x 4-1/2" for the invitation and 5-1/2" square for the thank you cards.